The arrival of the new year means the potential arrival of a new you. How do you plan to make your new self a reality? 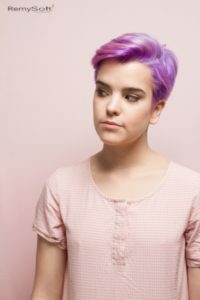 One easy way to do this is by giving yourself a brand new hairstyle, whether that involves chopping off a few inches or reinventing your already long locks. If the former sounds appealing to you, check out these short hairstyles that rode in with the new year. You just may find the right one for you! If you aren’t fond of bangs but still want to look elegant and mature, part your short hair on one side and let it frame your face in a graceful swoop. 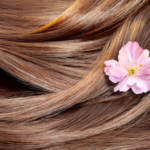 Hair products for remy hair keep your hair soft. If your hair is on the thin side, ask your stylist to implement soft layering and even softer waves to give your hair body. This can be a great way to transition into your new short hair if you’ve worn it long for most of your life. Leave in conditioner is ideal for keeping curls looking great. This look requires shoulder length hair and is similar to a side-parted bob. The difference is its styling, which will involve some heavy duty curling on your or your stylist’s part. 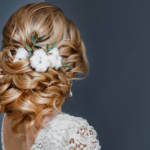 This look is perfect for formal or business events or for anyone who wants to add a little “retro” flair to their hairstyle every now and then. Straight hair doesn’t have to be limp and boring! If you’re inclined, you can part your hair in the center and let it curtain against the sides of your face in a smooth, symmetrical bob. It’s sure to make you look stylish! Quality hair care is needed for all lengths. For those of you who are interested in going extremely short, a pixie cut is a fashionable and feminine option to consider. You can style it in any number of ways, from choppy to swept to one side and layered elegantly. You can even create a mixture of the two mentioned styles by tousling your layers for a messy look. If you start getting bored with your bangs, try gelling them back, but not too much! You want to look stylish, not greasy. There are a number of hair products for Remy hair you can use to achieve this look. The Cleopatra look is re-emerging in the form of a long bob with long, thick bangs cut in a blunt style. Those of you who don’t have thick hair can ask for layering to help fill this style out. Beach-style waves have never gone out of fashion! If you still want to maintain some length but still want a fun, cute, new style, ask your stylist to implement some gentle beach waves for a stylish sense of body. 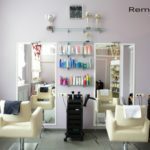 No matter what you decide to do with your hairstyle, RemySoft Solutions has the tools to help you, whether it’s with leave in conditioner or styling products. We believe everyone has the right to quality hair care. For more information, contact us.